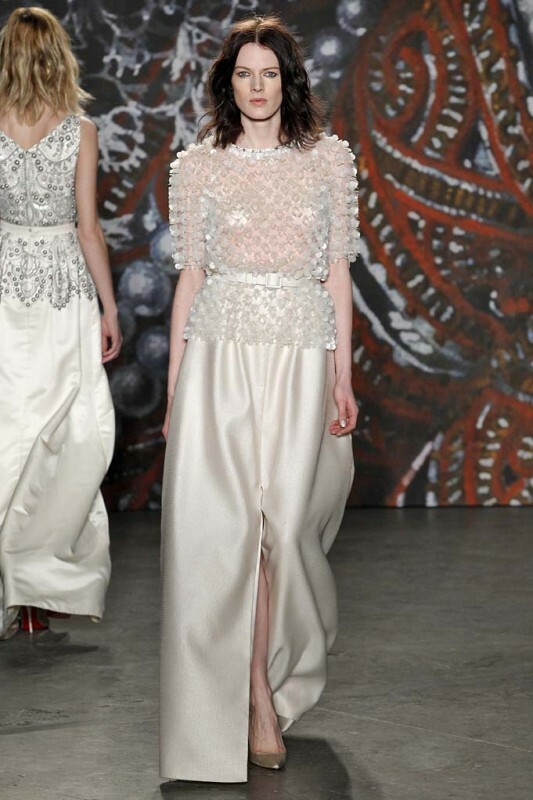 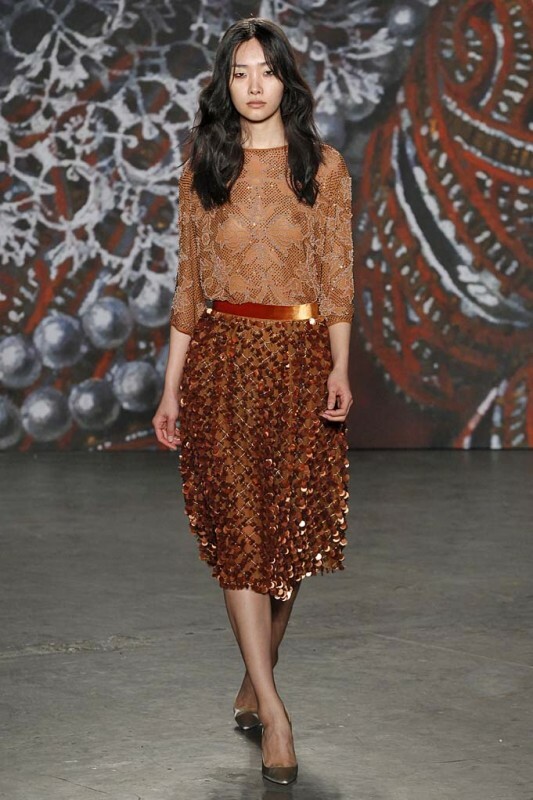 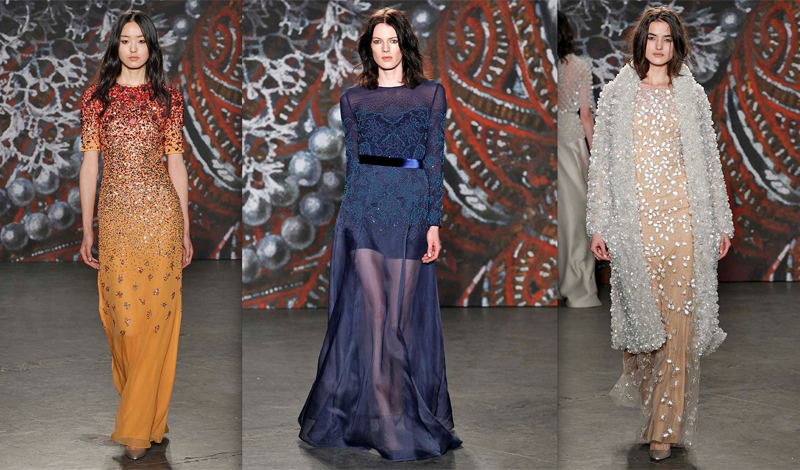 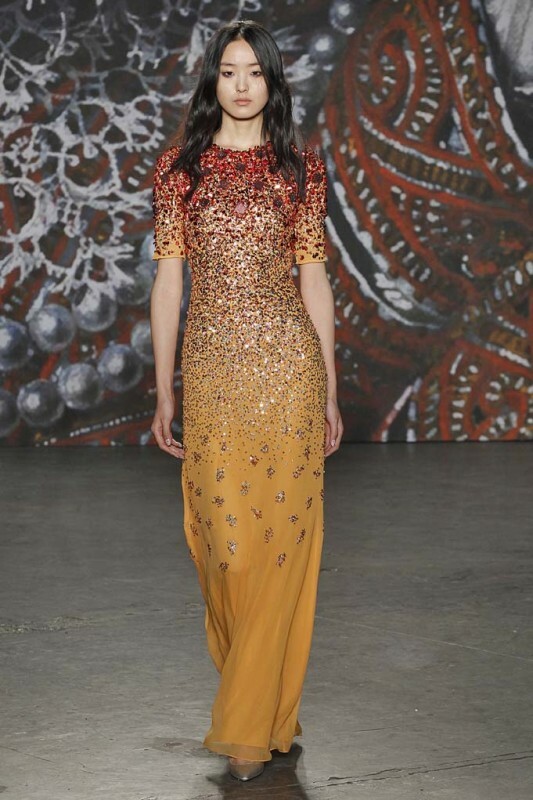 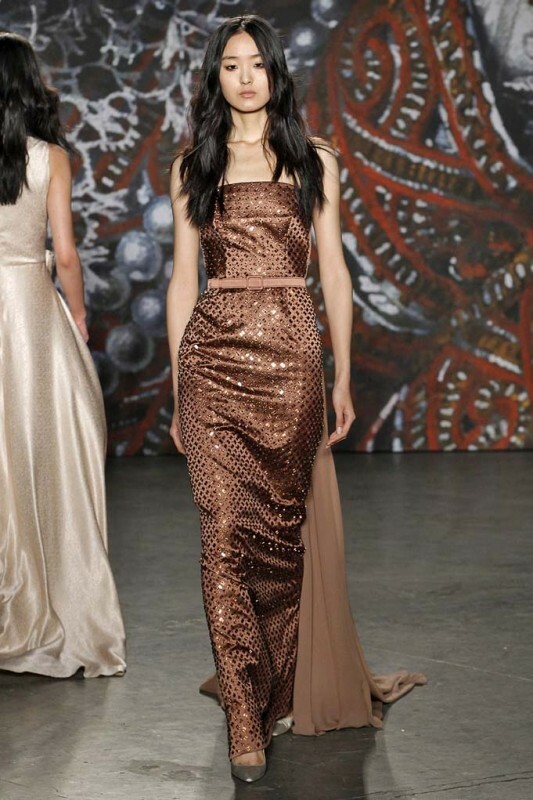 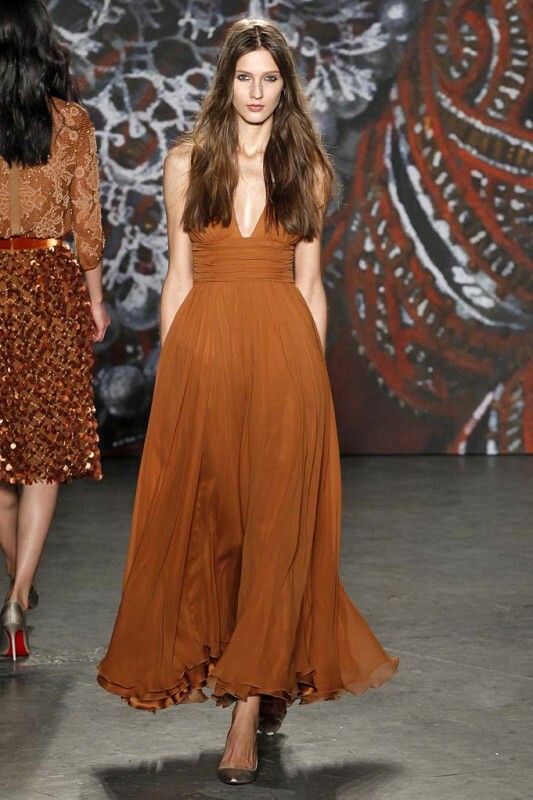 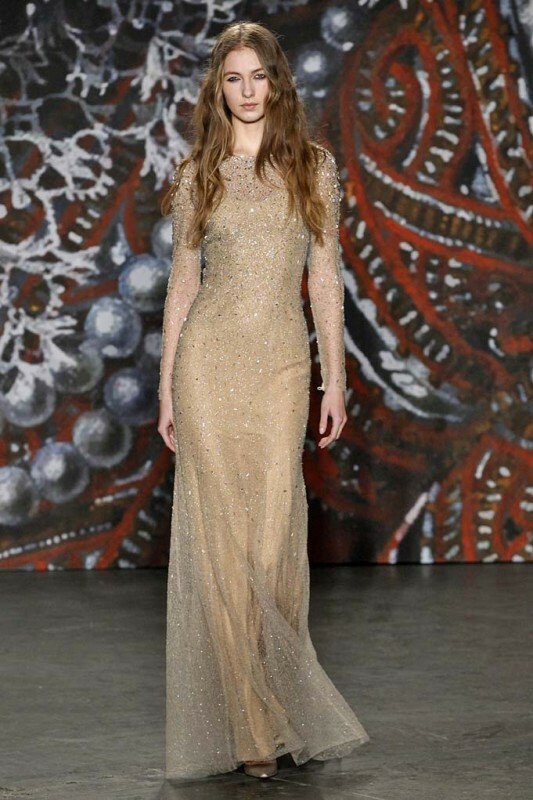 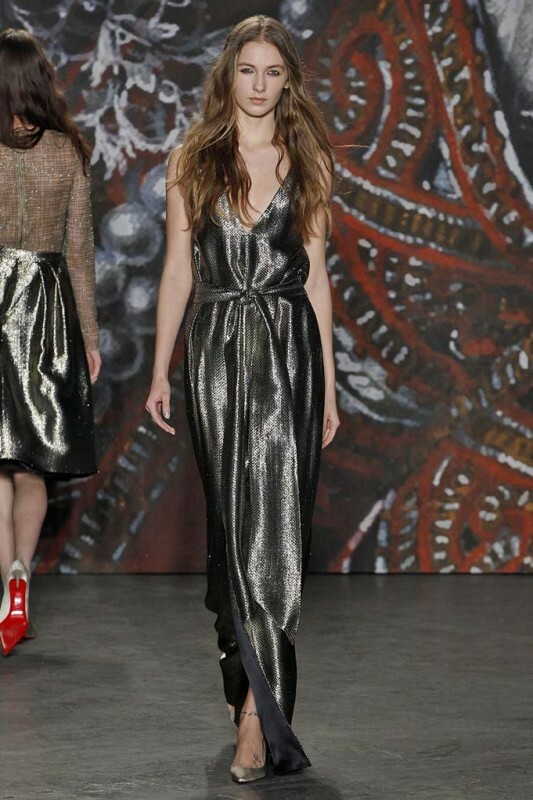 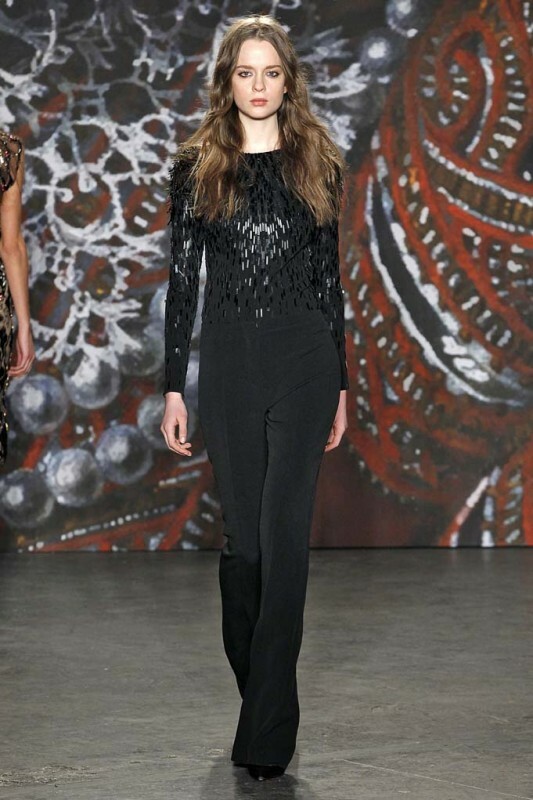 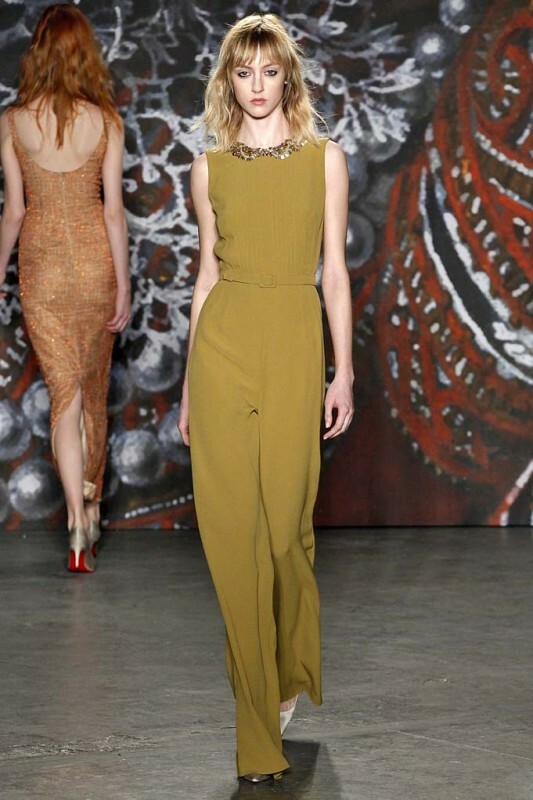 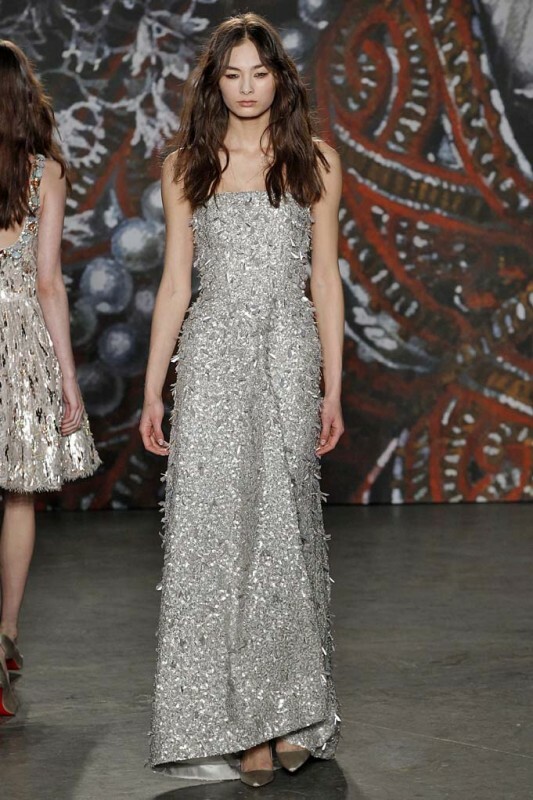 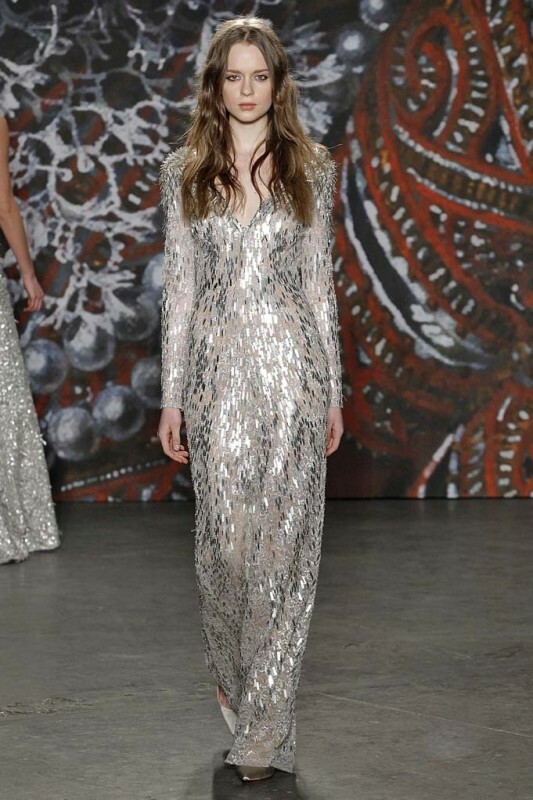 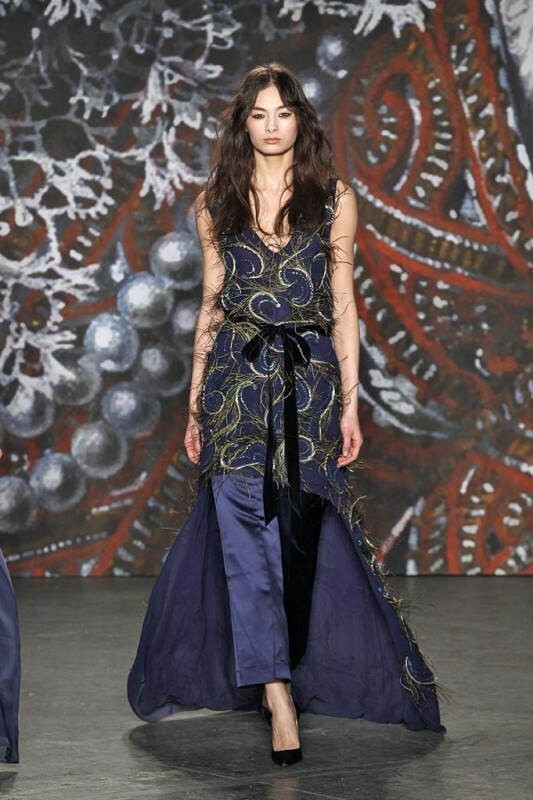 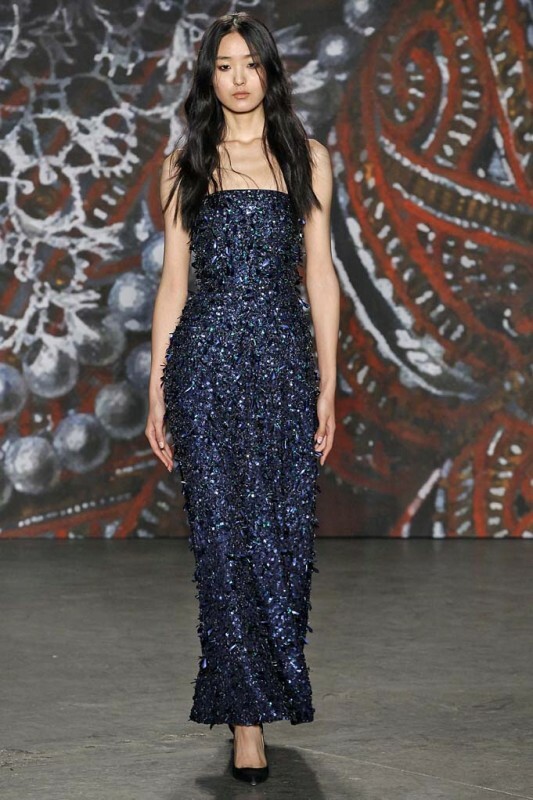 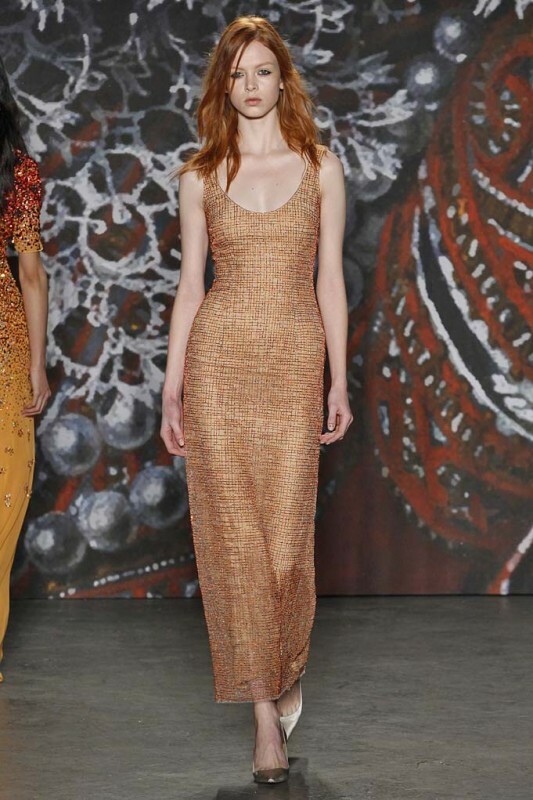 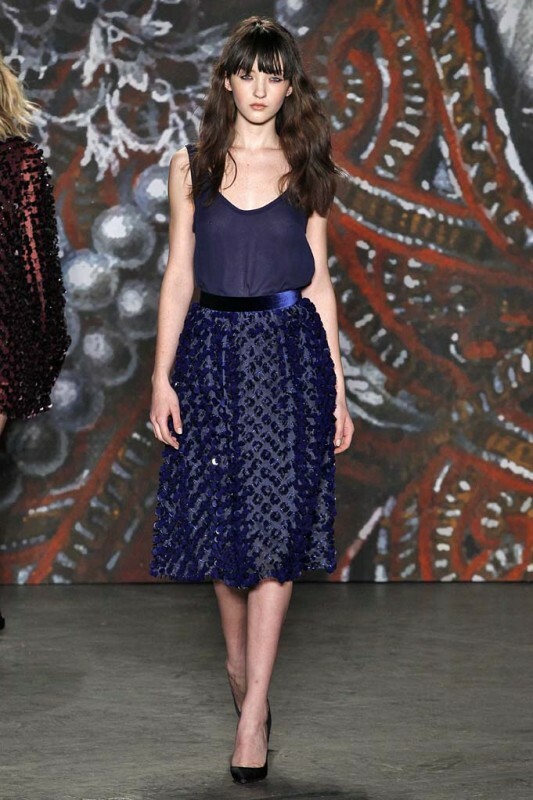 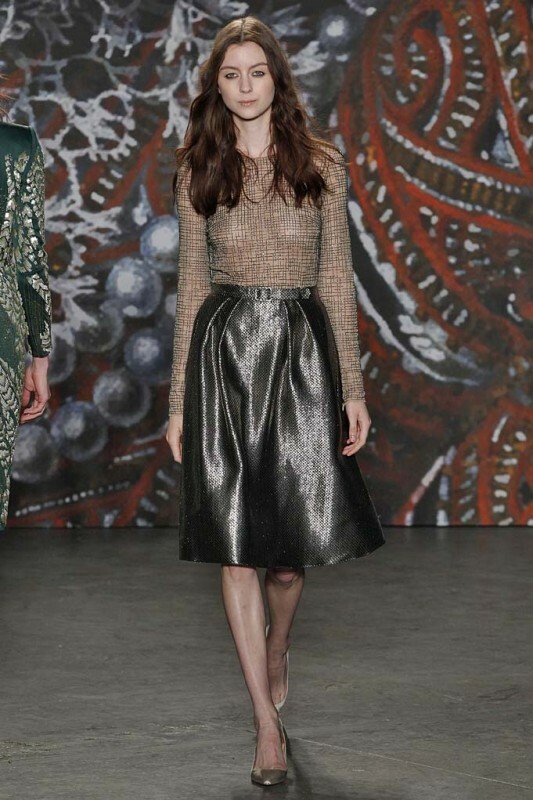 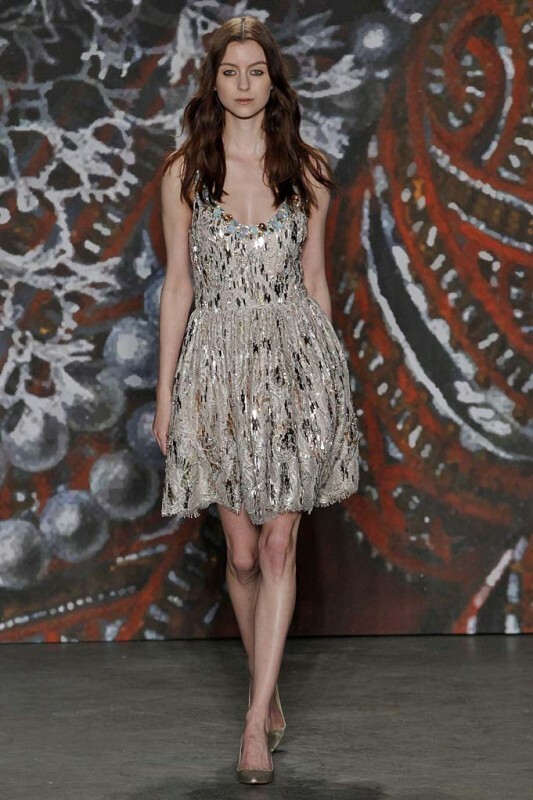 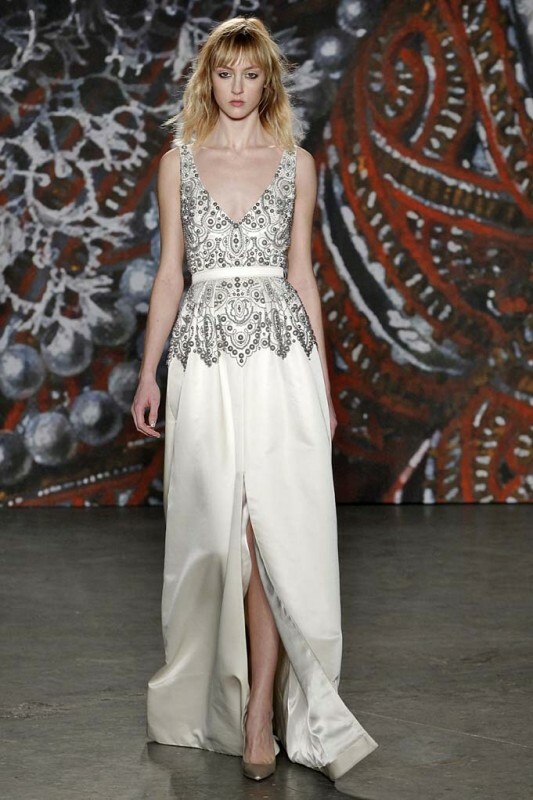 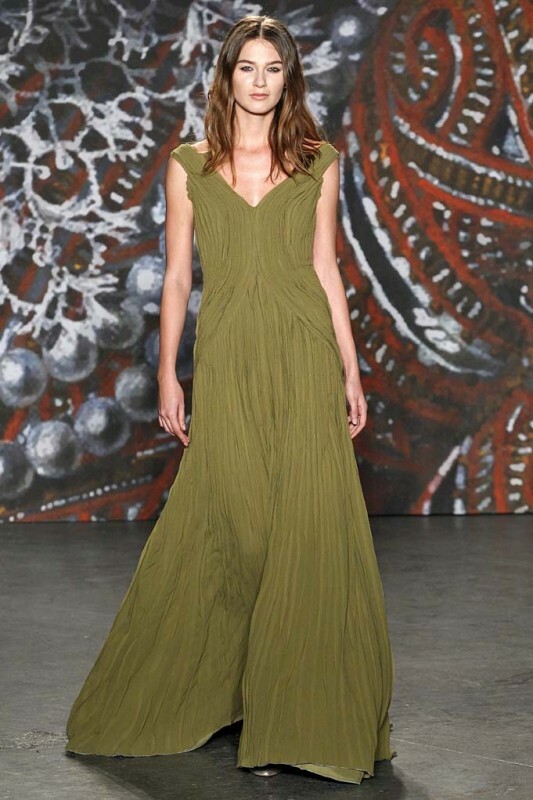 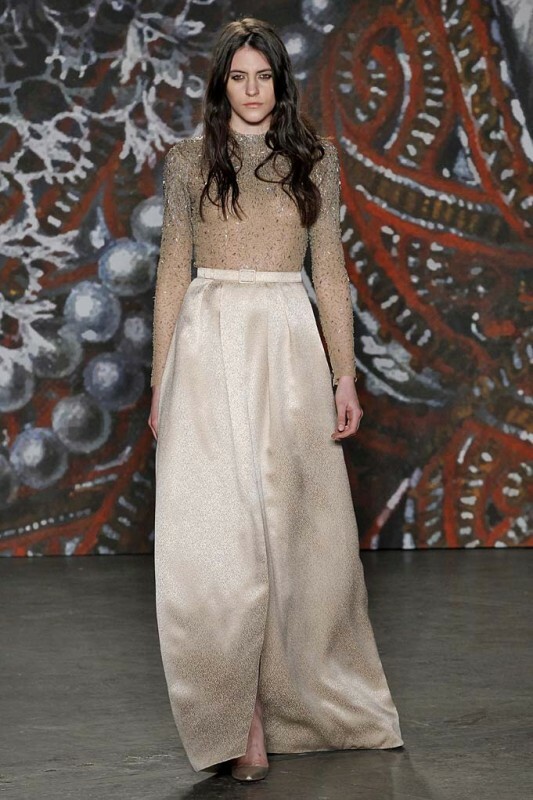 Known for her red carpet-ready intuitions, Jenny Packham stuck to her guns for Fall. 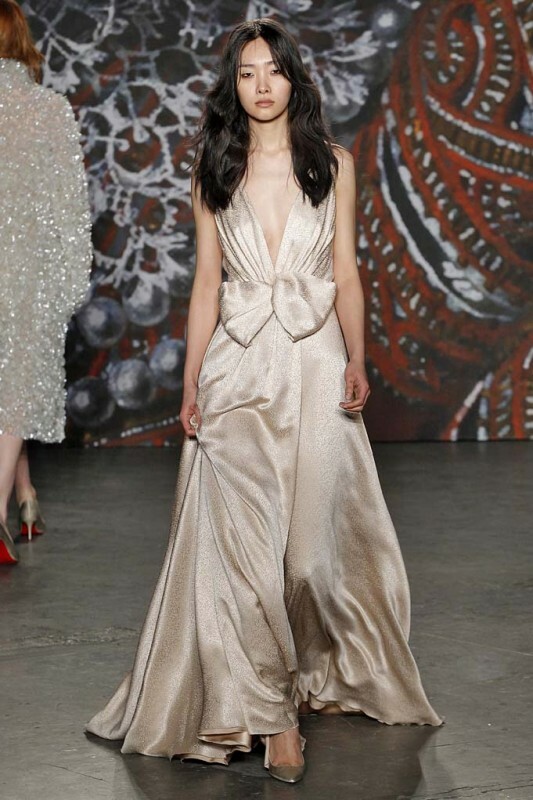 Creamy chiffon gowns, gem-encrusted column dresses, and draped silk numbers dominated on her runway this season and are bound to find their way onto a tapis rouge shortly. 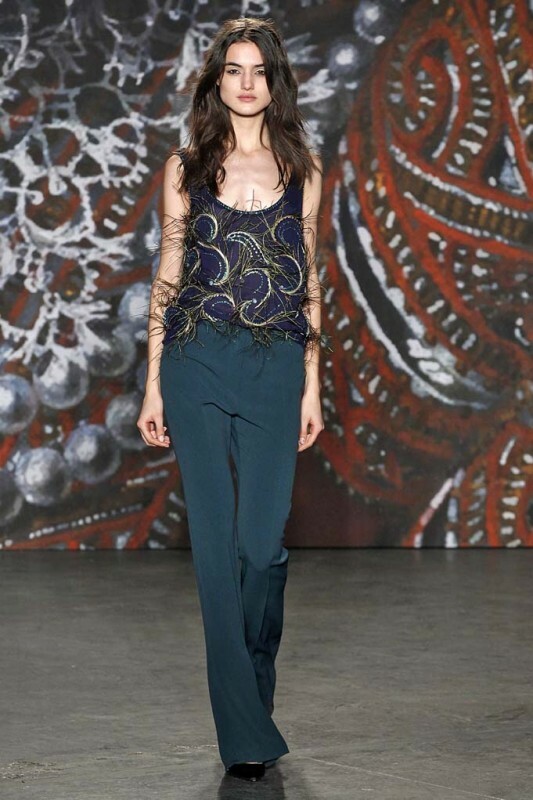 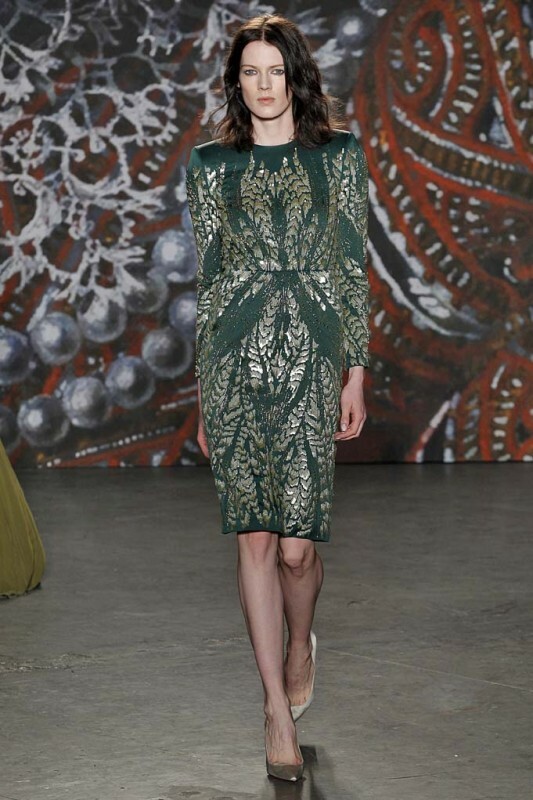 Packham got a bit adventurous with this collection, which got its starting point from a trip to the Prado Museum in Madrid. 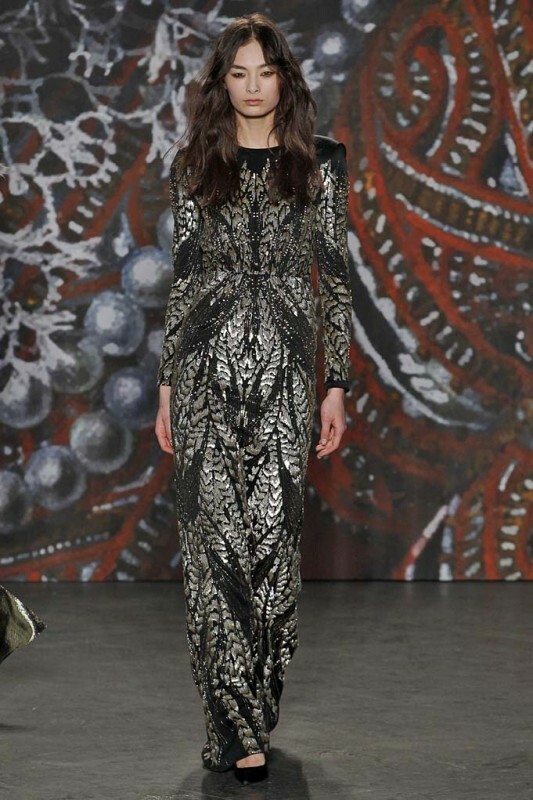 Particularly inspired by the works of Raimundo de Madrazo, Packham trotted out textures and fabrics pulled from the artist’s subjects, often society women bedecked in luxuriously glamorous garb. 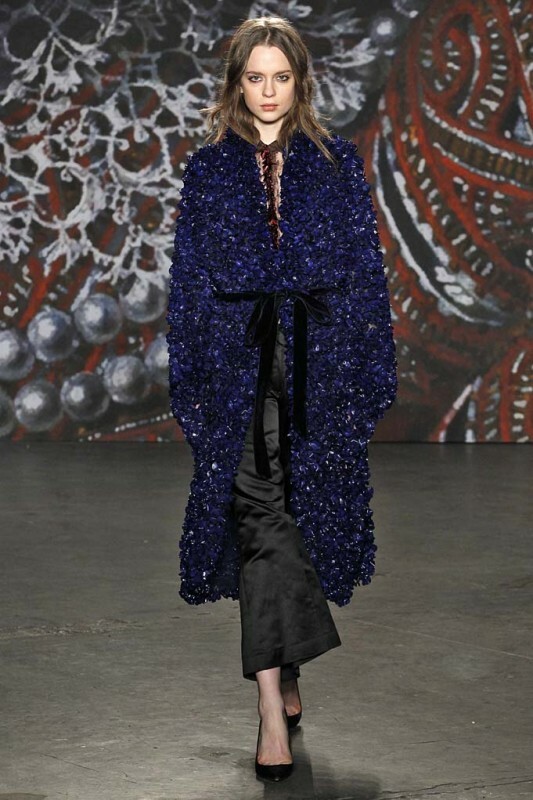 This would explain the peacock feathers, black velvet sheaths, and ample satin and silk on her runway. 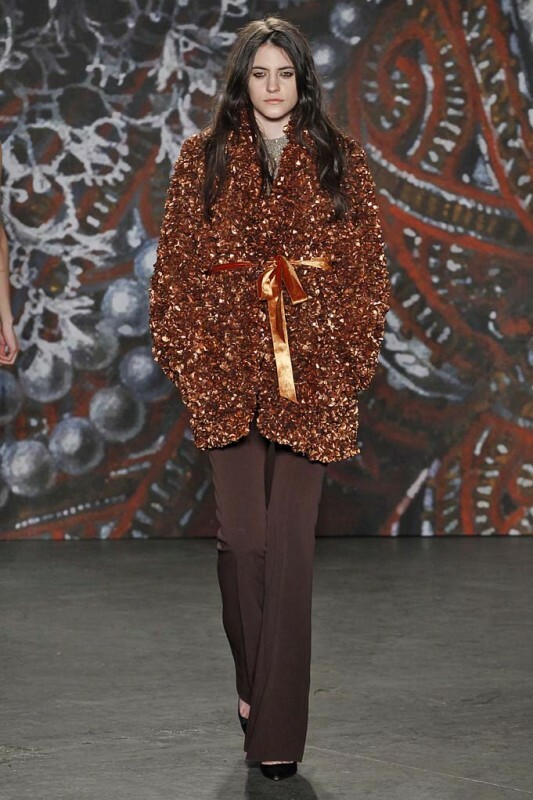 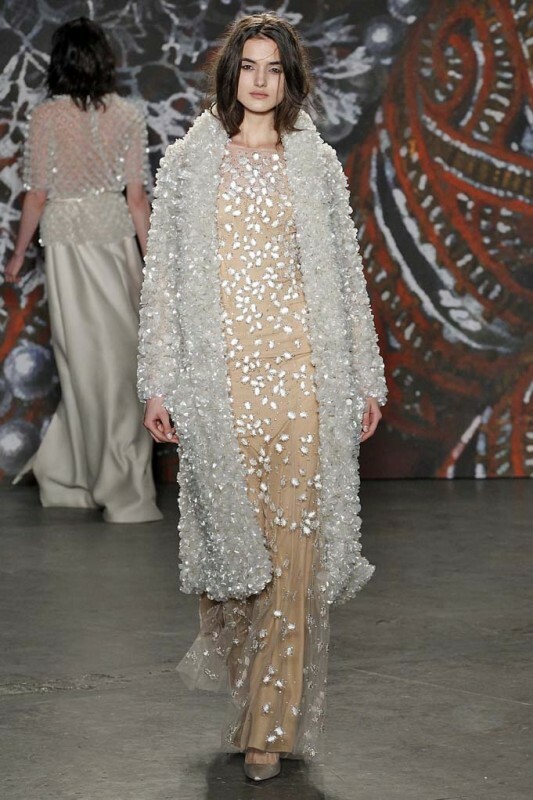 The most exciting pieces were heavily beaded, like the opening jacket that produced quite the sound effects with each movement, evoking a heavy rainstorm. 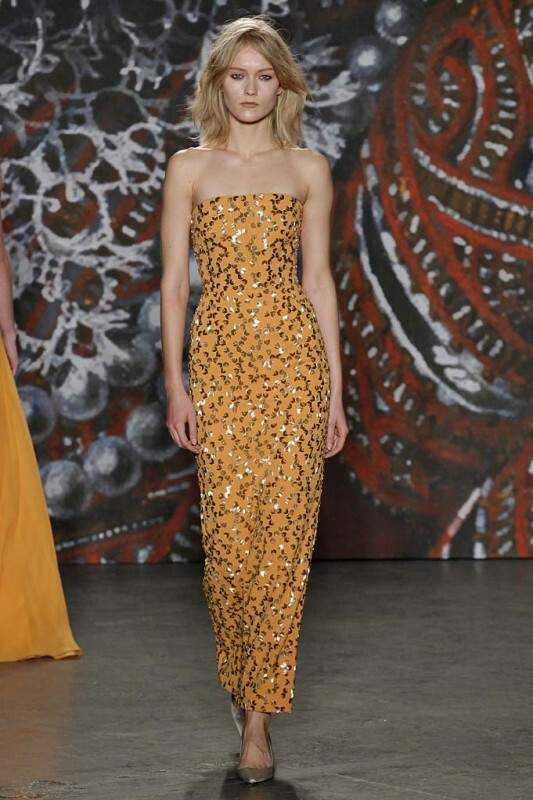 While these conceptual pieces might not be totally reasonable or practical for real life (or even for a starlet to wear for an awards show) ,the artistic factor was definitely not lost in translation.